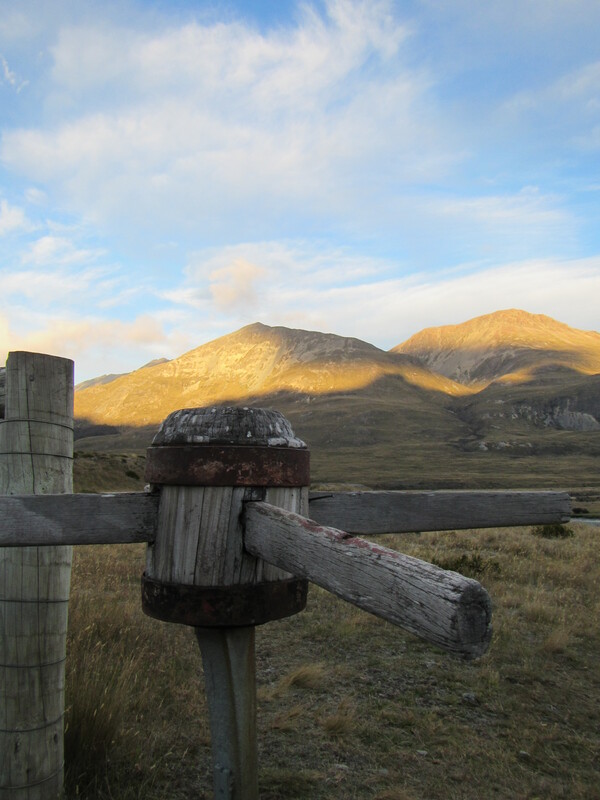 Ok, its been a while since my last blog update in Queenstown. It has now been close to two weeks since an update. In that time I have completed the trail but you’ll have to read about in a post later. For now let me bring you up to date. A lot has happened in past days and some posts may be light on for detail. A shuttle ride from Queenstown and around the lake saw me to Glenorchy but I would have to wait some time to get to the start of the Greenstone Track. 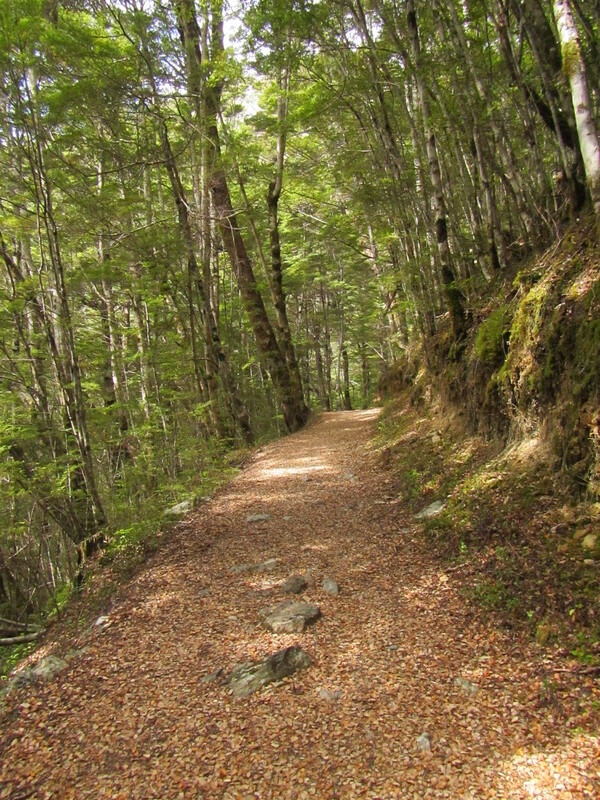 Most of the shuttle passengers were off to the Routeburn track and a couple of others to the Rees Track. I had to wait in Glenorchy until after 10am for the smaller shuttle to come back from the Rees so it could then take me to the start of Te Araroa on the western side of the lake and to the Greenstone Track. Time for a second breakfast and coffee. Jumping into the smaller shuttle it was a pleasant drive around through Kinloch, chatting the whole way with the driver. I didn’t get to the start of the Greenstone Track until 11:30am so it was a late start to walking. I knew the Greenstone Track, being a popular circuit track with the Cables, would be well formed and the walking fast but I didn’t know how far I would get today. I got moving. As expected the trail was really high quality, perfectly formed, wide and gravelled. Almost a great walk standard. 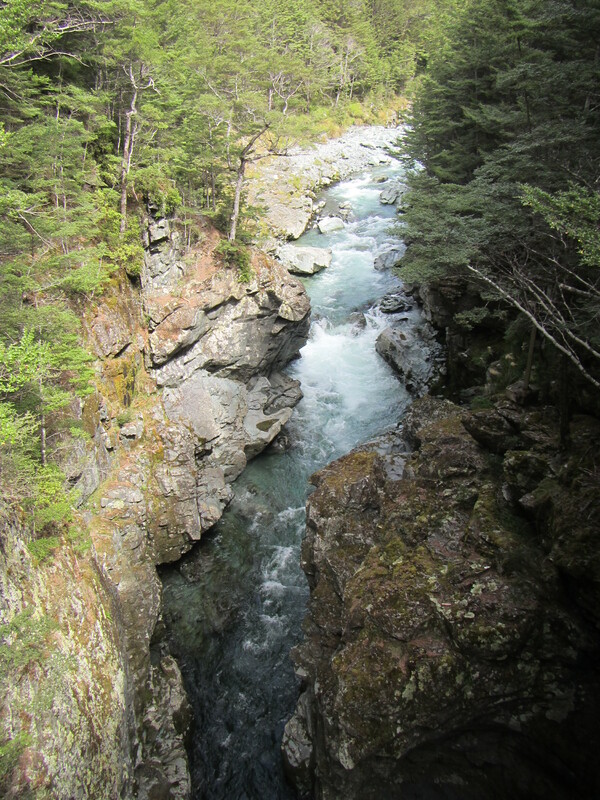 The trail followed the Greenstone River with amazing views right through. Nice beech forest, crystal clear waters in the river and several nice side streams. I had a little friend that kept me entertained during my lunch break, dancing around me feet and hunting out insects in the leaf litter. Just before Greenstone Hut the trail crosses a swing bridge over the river with nice views down a gorgy section. I reached the Greenstone Hut in the early afternoon after a quick 12 kilometres on the nice track and decided I had plenty of time to keep pushing onto Taipo Hut, another 10 kilometres on. Leaving Greenstone Hut I had to say good bye to the perfectly formed track as the trail transitioned back to a typical tramping standard as I commenced the Mavora Walkway. From the hut the walkway was initially through beech forest, back into some sidles and roots for a time before coming into more open country and having to cross Pass Burn. I saw some footage of this river after rain last year from Loic Jaffro and it was impassable. For me it was fine. Great to have a dry feet day so far and able to criss jumping from rock to rock. 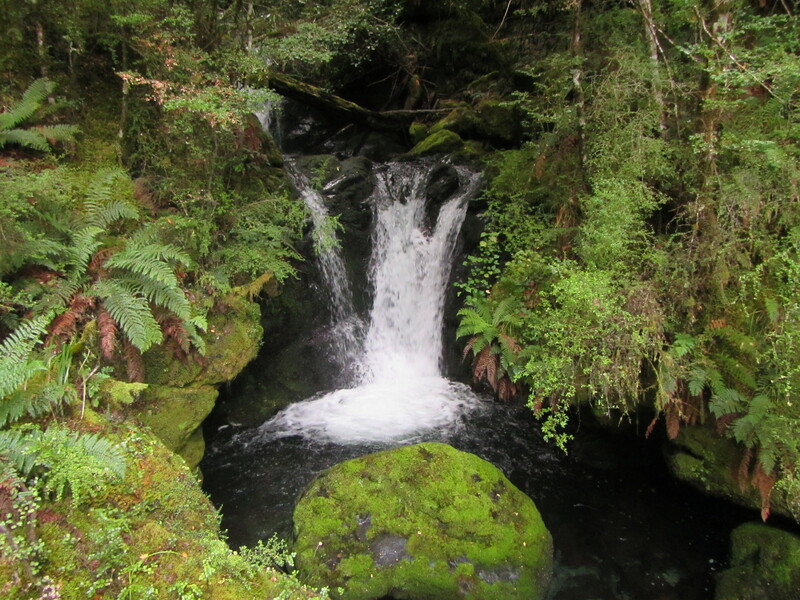 From the river crossing, there were a few more kilometres of beech forest before the trail pushed back into tussock country, following rolling hills. 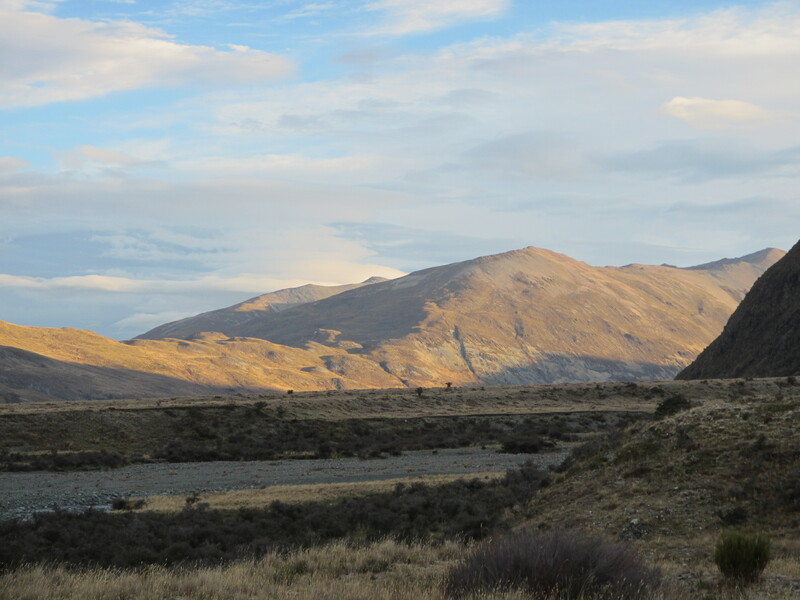 And typical of tussock country there were a few slips and trips along the way. Nearing Taipo Hut I had to negotiate a really swampy section and inevitably my feet found a hidden soak and were instantly drench. From that point on I didn’t bother trying to skirt around wet areas and just charged through. Actually I dont think it would have been possible to keep feet dry this day. On reaching Taipo Hut it was late in the day. There was plenty of wind about and just enough sun left in the day to warrant leaving my shoes and socks outside in a attempt to get them dry again. 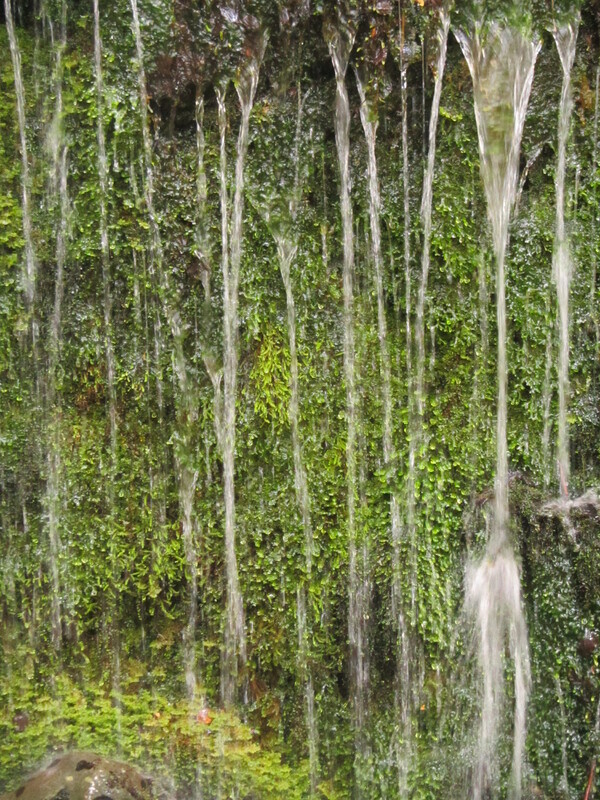 I had the run of the place to myself at first and got on with chores like collecting and filtering my water. Apparently there was a dead possum in the water tank a few days ago so all water was collected from the Mararoa River next to the hut. It looked clear and fresh enough but I was back in farmland with cattle about the place and filtered it for good measure. The hut site is actually fenced off to keep the cattle out. A old turnstile provides access into the yard and keeps cattle out as well. Later in the evening Mary-Kate and James from the US showed up. 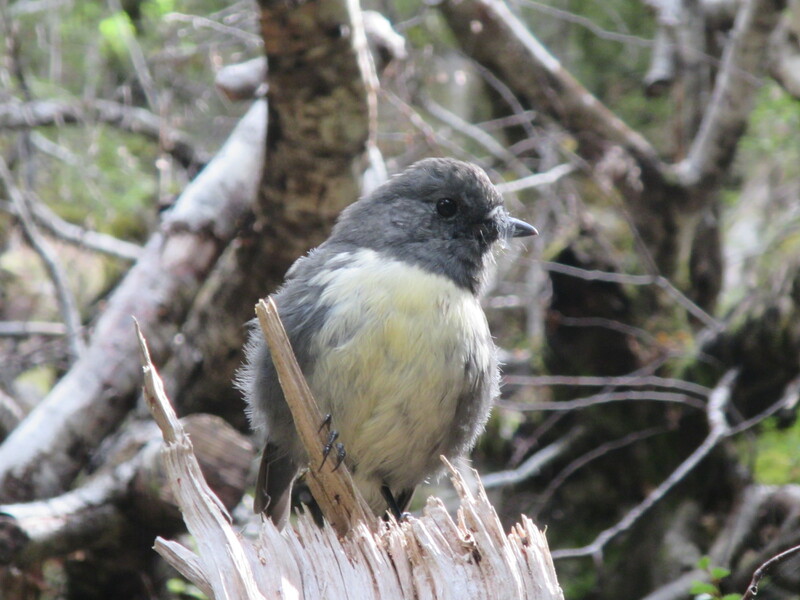 I met these guys in Lake Coleridge on the shuttle ride around the Rakaia River but they were headed to Methven and I haven’t seen them since. These guys are old hats at long trails having completed many in the US and they have their ultralight kits perfected. Much later in the evening, close to dark but not quite Nadine and Philippe from Switzerland joined us as well. I saw these guys on the road past Kinloch during the shuttle ride around so they have had a massive day to make it to Taipo Hut. With introductions out the way we all went about cooking dinner over small talk before hitting the sack – tomorrow was going to be a big day. Taipo Hut is stated to be an 8 person bunk but it was more like a 4 person bunk with double mattresses instead of the typical single ones in DOC huts. You’d want to be close friends to share these mattresses and squeeze 8 people in.